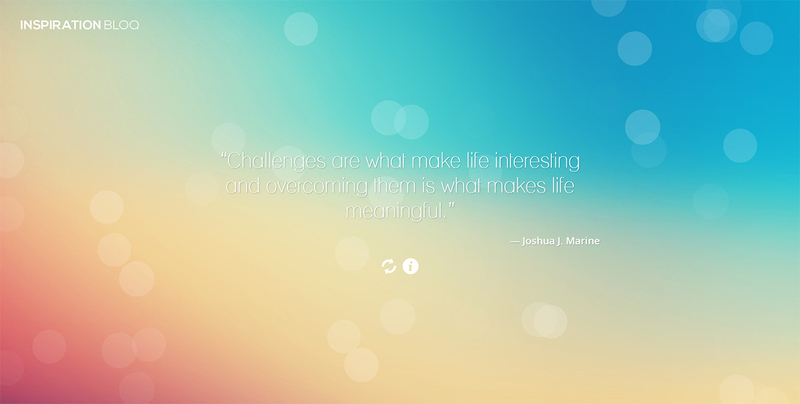 Responsive One Pager with a moving colorful bokeh background that serves up an inspirational quote on refresh. This site is kicking off our new “Single Serving” category – a popular meme of websites that are created to purely do one thing on their own dedicated domain. This is a simple website providing a single inspiring quote to the reader, on refresh they get a different quote and so on. No more no less.